Red Lodge, Montana is an exciting small mountain town with a rich and vibrant history. With most of its downtown buildings listed on the National Register for Historic Places, the past is definitely a living part of the present. Red Lodge’s colorful history is preserved in the 100-year-old buildings of its historic district. Much of Red Lodge is register on the National Register of Historic Places. Most of these historic building can be found on Broadway Ave. and Word Ave. The town of Red Lodge got its start in the late 1800’s when settlers from around the world began mining coal from its mountains. Soon after, the railroad built tracks here to transport its coal. When the depression hit, citizens made and transported bootleg liquor to keep the money flowing. Throughout its lifespan, Red Lodge grew and changed. Today, many of Red Lodge’s original buildings still stand and most are registered on the National Register of Historic Places for their Bungalow, Romanesque, Classical Revival, Gothic, and Colonial Revival architecture. Red Lodge is peppered with 100-year-old homes and businesses that still boast their original aesthetic charm. The majority of the historical buildings can be seen on Broadway Avenue, Red Lodge’s main street located on Highway 212. Some historical homes still tower on Word Avenue, accessed via Highway 78. Visit the Old West town of Deadwood South Dakota, in the Black Hills. 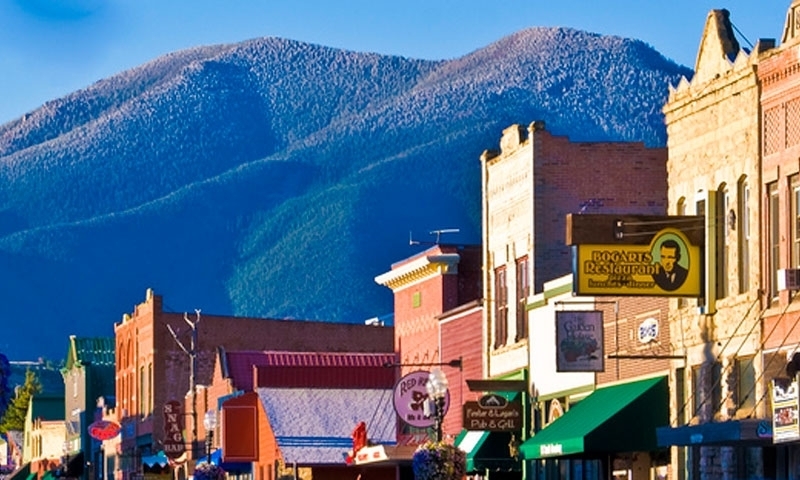 Be sure to visit downtown Livingston Montana, for a step into Montana's past.